And yet I'll admit I was nervous about this, mostly because Dessa's solo work is very different than the fire she typically spits with Doomtree. I might love A Badly Broken Code as an underrated near-classic, but it's meditative and restrained in an uncanny way, and certainly took a lot of listens to grow on me as much as it did. And her 2013 follow-up Parts Of Speech, even though that record made my year-end list, it was a pivot towards more R&B and less hip-hop, and I was a little unsure whether it played enough to her strengths - she's an absolutely excellent rapper, but not quite as expressive or potent as a singer. And thus when I heard that her newest project Chime was pivoting even further, moving closer to mainstream-accessible pop... well, it's not like I couldn't have seen it coming, given her contributions to The Hamilton Mixtape and her own wild creativity to be more than just a spitter, and I was sure there was bound to be real density and punch in the content, and it's not like Lazerbeak or Cecil Otter would steer her astray on production - okay, maybe I was worrying too much over nothing, I'll admit it. 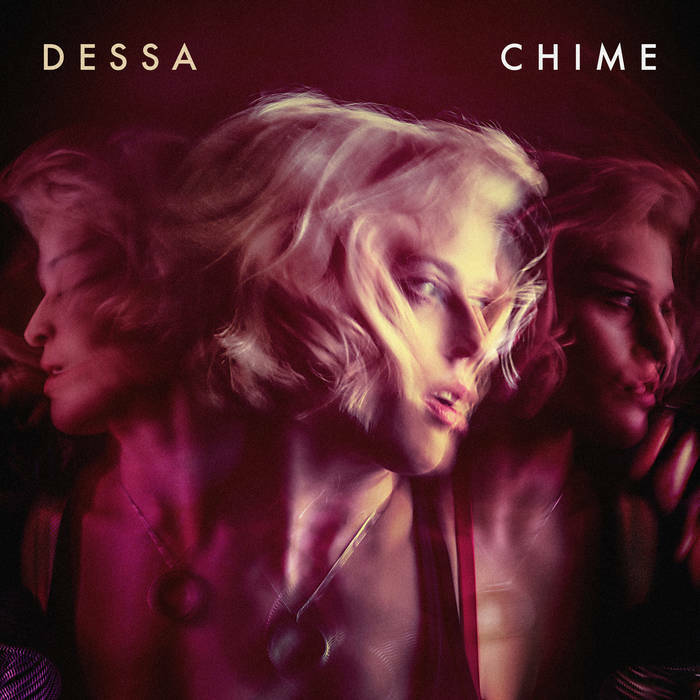 But again, Dessa is an all-time favourite MC of mine, I really wanted this to be amazing, especially given some of the critical buzz about this release and that she had brought in Andy Thompson to augment her sound with more classical elements... so, what did we get on Chime? Folks, I'll be very honest: I wasn't expecting this at all. Deep down I think I knew it was going to be great - it's Dessa, she's too smart and empathetic as an artist to do anything less - but I wasn't expecting the absolute gutpunch that she delivered with Chime, not just blending in elements of baroque pop and ethereal electronics with her bars, but also showcasing the sort of deeply felt thematic cohesion and philosophical heft that for the first time feels truly seamless with her emotional struggle and tightly knitted bars. Or let me put it like this: I relistened to A Badly Broken Code before this review to confirm that it is indeed a near-classic... and Chime leaps past it handily, delivering the sort of layered impact that hits harder and harder with every listen. And yet I think if you're coming from just Doomtree projects, Chime will probably throw you off-balance, because while Dessa's bars have never been better structured, there is a lot more singing on this project than driving, double-time flows. Hell, if I were to make any one criticism of Chime it'd be that a song like the interlude 'Shrimp' feels like a taster to an insane rap record we didn't get, and I can see if that was your expectation - or if you weren't familiar with A Badly Broken Code or Parts of Speech - you might find yourself disappointed, or find this a little too restrained or dour in its choice of pop textures, pulling on stately classical arrangements with rich cellos and fuzzy pianos or electronics that whir and sputter... and that's before you note the heavier, more melodic multi-tracking or vocal filters that might even seem like they're sapping more humanity from her, about the last thing you'd think she'd want. And if that's not what you want to hear from Dessa, I totally get it - I love when she snaps on a Doomtree project too, and her vocal stylings are not the most obvious fit for pop... until you recognize her reference points. The two comparisons that immediately came to my mind the most were both indie pop and electronic artists: Vienna Teng and Imogen Heap, not just for a similar willowy vocal tone but also how they had a tendency to bend electronics around their delivery to serve them in synthesis. And hell, it wouldn't be the first time a rapper did this: look at Kanye West's usage of autotune to highlight the emotional distance he was trying to enforce from his grief on 808s & Heartbreak. Of course, Kanye only wishes he could have the razor-tight, cutting power of Dessa's content, and even before we get to the greater thematic weight I'm still a little in awe how Dessa can infuse every single song with so many quotable lines, symbolic juxtapositions, sly jabs and the sort of detail that remains grounded enough to show careful thought but also a level of accessibility that she's never quite touched before. That's one thing I'd argue some have missed in her choice to go for pop - where Parts of Speech hit an odd middle ground of obliqueness, Chime's willingness to engage with more melody and a pop framework doesn't dumb down her style or points of reference, but gives them the structure to connect more deeply. Granted, the melodic hooks were always going to be strong - catchiness seems embedded in the DNA of every Doomtree member - but Dessa still coaxes through the detail: the haunted mantra of that ride coming keening through the bassy murk on 'Ride', the thick smoky echo around the hook of 'Fire Drills' to emphasize its lingering truth, a perfect contrast to the rattling guitar and classical embellishments for the seething final verse that breaks into a bassy, knocking outro, the ethereal but symphonic vocal layering that owes more to Enya on 'Good Grief' and 'Boy Crazy' to capture both an exasperated purification and flutters of genuine affection, to how 'Half Of You' almost plays like a CHVRCHES track with the quick tempo of the synth oscillation and more developed percussion line. Hell, even a song like 'Say When', more atmospheric with the desaturated keyboards and unstable blubbery beat, uses the misty multi-tracking of the title to highlight barroom loneliness as the champion has no more battles left to fight, the subtlest sort of tragedy and one that shows a glimpse of the other side of hip-hop mastery so rarely explored - hell, every time even Eminem has tried it never connected like this. And even as this record ends on a darker note with 'I Hope I'm Wrong' with its fluttery, airy fragments, there are still moments that capture a certain organic beauty amidst the electronics, with 'Velodrome' being the most pronounced example - yes, Dessa's voice doesn't lend itself to pop belting, but that doesn't mean she can't find beauty against a stunning strings arrangement, a thick cushion of multi-tracking, and robotic layers highlighting how easy it is to slip in line, or if we're naturally conditioned for it. That's one thing I genuinely love about the production on this project: not only is the writing precisely detailed, but the mixing and production is as well, with the details feeling deliberate but still showing the raw humanity beneath it - hell, that's kind of why I like the ending pivot on 'Shrimp', where instead of Dessa dropping into the sort of bragging she could do in her sleep she throws a curveball and cuts it off with a laugh, or how on 'Boy Crazy' the staccato synth leads highlight the words never quite said, leading to rhymes that your mind completes but can't be uttered, especially in the wake of the song's final tragedy. And this is where we have to delve into the content - and if you thought this record sounded heavy even with its pop flourishes, it comes through most here, as Dessa is not wasting an inch in her storytelling - the fact that she squeezes so many layers into her writing in just over a half hour kind of blows my mind - I initially thought I wanted more length but repeated listens just exposed more details to unpack. And there is a lot to unpack here: Dessa has always been aware of being a woman in a traditionally male-dominated medium, and while she's always worked it into her content in cutting asides, this time she's not pulling punches, and considering Dessa has always carried a level of maturity and realistic insight, it drills even deeper. 'Fire Drills' has gotten the most attention for how she describes disguising her femininity to play in hip-hop - especially abroad in less progressive nations - to be seen as more than eye candy, but reflecting on what this conditioning has done to her psyche is a bitter pill that she's only now confronting, especially when adhering to a traditional gender role doesn't work for all women, and she's utterly sick of the message to women to 'stay safe' and restrain themselves rather than 'be brave'. And yeah, that's powerful... but then you remember just two songs later where Dessa is wandering back to an old haunt and sees a girl looking to hook up with the wrong guy, but she doesn't ask if she's all right because she knows the answer will be a lie, and what business is it of hers to judge? Hell, she's aware of her own self-flagellating, reckless tendencies, or to quote '5 of 6', getting her daily dose of lightning in probing sockets so she can get 'buzzed enough to get me climbing up the kite string' - which if you got the Benjamin Franklin reference, would just see her shocked again. In these moments Dessa strips through moralistic feminism in the same way Mish Way did on Paradise with White Lung two years ago... but then she goes even further as the record opens up into a much more personal story, and because Dessa isn't really to be provocative in the same way. No, for the remaining two thirds of the record more of the story seems to be focused on heartbreak, specifically getting over it - which, sure, isn't an unfamiliar topic in pop songs, but Dessa is taking a more complex point of view. In the creation process of this record she literally had her brain scanned and utilize EEG technology to identify the neural triggers in her mind that kept her feelings intact for her ex, and while there's no explicit reference to the science of it all, you can tell it was driving someone as pragmatic and driven as Dessa off the wall that she couldn't simply close it off. 'Good Grief' references how the term is really an oxymoron at any specific moment of pain: it only really feels better in retrospect and to quote her again, 'time has a funny kind of violence' - it never leaves you the same getting over it, or to quote '5 of 6', being both being the phoenix and the ash. And so much of that 'getting over it' impulse is social conditioning: 'Jumprope' might seem to be a trivial reflection to childhood until the first verse highlights that trained conditioning built in on how little girls even in their games learn to jump from the rope. And 'Velodrome' is even more pronounced, using a wonderful juxtaposition of medieval religious philosophy of 'how many angels could fit on the eye of a needle'... but Dessa brings it down to earth by saying any women in stilettos could tell you that answer, highlighting the parallel of systems designed to control women, highlighting how technology has only enhanced that process, and then saying 'Sometimes I ring myself / to see if I might chime' - one of the rare sexual references on this record, but an inspired one that shows Dessa finding a personal moment of release against those systems. But even then... she's only human, and man, she knows it - once you're aware of your societal conditioning you can't stop noticing it and how many more questions it brings. I've already referenced the tragedy behind 'Boy Crazy', a powerful aching compulsion she can't quite control and yet goes unrequited, but then you get 'Half A Heart', where she asks the question whether it's okay to hold onto that compelling emotion, all on her terms, keep the messy emotions because it's not like the experience is going away! But there's a reason that song is followed by 'Say When', the lonely dive bar scene where all her friends have drifted away, and the only battles she remains fighting are her own, with the subtext of alcohol being the only numbing release - we'll come back to that. And even if that means falling in line - or to quote Aya Cash's character Gretchen from You're The Worst, 'maybe buying in is really the punk rock choice' - in the course of making this record that same EEG therapy was used to partially neutralize the compulsions - and since Dessa knows philosophy, she keeps the free will question in subtext, references on 'Velodrome' to being part machine, or at least stream-power in a callback to the fire at her core. And then we have the closing track 'I Hope I'm Wrong', referencing someone as if they're dead and hoping she was wrong that some attention still lingers even her lack of belief in what might come after, pouring out the bourbon both in respect and because she doesn't need it to numb her heart anymore. And even then it shows her victory as Pyrrhic, and she can't help but wonder if she had stepped in line more, put his success above her dreams, trading them for children and society's projected domesticity, whether it would have been enough. For now enough emotion remains to hold the experience close, but it doesn't control her, and for as much agency as she believes she has, her chime can truly sing. Look, I know some of you are going to say this is biased, that she's one of your favourite rappers and that it can't be that good... but every listen only confirmed it more, a fusion of organic and synthetic, fiery presence but icy precision, meticulously referenced but defiantly human. Taking the traditional masculine coding of hip-hop with the feminine coding of pop, Dessa's musing that it 'looks like gender's over' rings as more symbolically prophetic with every relisten, and with a level of nuance that reveals more depth with every listen and yet the heartfelt hooks and power to connect beyond it... yeah, I'm going there, this is a 10. Every song hits with startling, raw beauty, a genre fusion that elevates the best of all of it, if we get a better record in 2018 than Chime by Dessa, it'll be a special year indeed. So yeah, without question get this record - I promise if you give it the time and thought, you will not regret it.